Today is my 48th wedding anniversary. When I think about all the wild and crazy adventures Dan and I have had along the way, I am amazed at how we packed it all in. I woke today thinking on all the little things people do that lead to their “irreconcilable differences”, to a marriage of mediocrity or often, to divorce. It’s those little things that lead to mountains of anger and apathy. One of my gifts from Dan today is a beautiful embossed leather journal where he wrote 365 reasons he loves me. One reason each day for this past year leading up to today. Yes, it is an incredible gift and one I will cherish the rest of my days (along with the 48 beautiful long-stemmed red roses) . Interestingly, the very things he penned in the pages of that journal are the antithesis of what happens in so many relationships. All the effort the two of us have put forth in 48 years of learning each other, loving and serving each other has led to today. Still in love. Respecting and admiring one another. It was, and is, a day-by-day decision to be intentional about our marriage….putting one another before the kids, before the grand kids, before career, social expectations or changing trends. Disrespect–Just like Popeye, you are who you are, so your spouse better accept you, warts and all, and not expect you to change. You are the king of your castle and she had better like it and be at your bidding. Discourteous–No need opening that door for her. She’s a big girl and can do it herself. Don’t worry about leaving your dirty clothes in a heap or washing your own dishes. That’s what wives are supposed to do. Disengage–Be sure to come home each day, plop down in the easy chair and flip on the TV. No need for conversation that might ruin your evening. She can handle the kids, the laundry, the chauffeuring and social engagements. You’ve had a hard day at work and deserve an evening of rest and solitude. Disappear–Another long night at work won’t matter. This is a big project and it’s more important than the dinner engagement with your wife. She’ll understand. She always does. Disregard–No need to comment on her new hairstyle or her changing the furniture to make the room look better. She knows I expect the best! And why does she need a new dress? Who cares? Disregard–A kiss and a warm embrace is for sissies! She knows I love her. I provide a roof over her head, don’t I? She can take care of herself and I’m too busy for such nonsense. Disallow–Demand that she have certain restrictions you impose and don’t allow any discussion. After all you are the boss! Discount–Don’t allow her to give her opinion. Yours is the one that counts most heavily and if she tries, put her down quickly! She needs to know her place and who’s in charge. Dishonor–Be sure to belittle her in front of others so everyone can have a good laugh. After all, she knows you are just joking…kind of. Discord–Make sure you are the winner in every argument. Someone’s gotta win, so why not the man of the house? Obviously I am speaking from the woman’s point of view. Hard not to. But I think you get the point. All of those behaviors create DISTANCE in a relationship and eventually bring apathy and often death to a marriage. 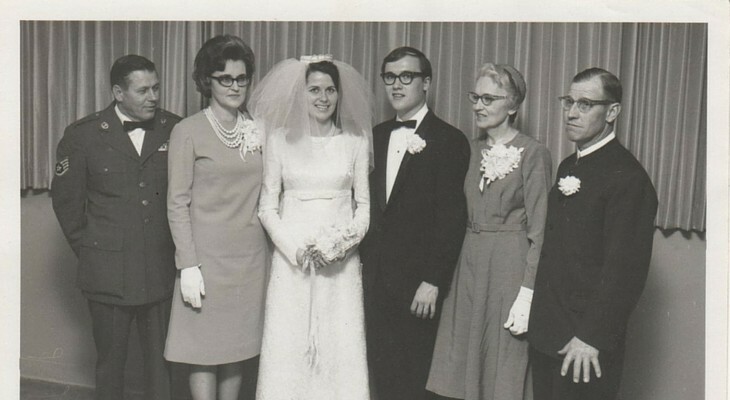 I am very blessed that on March 23, 1968 I married a man who wanted to serve me as much as I wanted to serve him. And for every day of this incredible journey together we have both worked hard to create the life we wanted. It hasn’t always been easy to navigate this journey. We have certainly had our share of disappointments and unfortunate circumstances. But holding onto one another has made each obstacle easier to traverse and by holding onto one another, we have become incredibly stronger through the years. Working together.